The gun lobby and its supporters on Capitol Hill are in full-blown Armageddon mode in the wake of a proposal by the federal Bureau of Alcohol, Tobacco, Firearms and Explosives (ATF) to ban the availability of a type of ammunition originally designed for use in AR-15 assault rifles that, when used in next-generation AR-15 assault pistols, can pierce the bullet-resistant vests worn by law enforcement. Specifically, 5.56mm projectiles loaded into the SS109 and M855 cartridges are commonly used in both "AR-type" rifles and 'AR-type' handguns. The AR platform is the semi-automatic version of the M16 machinegun originally designed for and used by the military. The AR-based handguns and rifles utilize the same magazines and share identical receivers. These AR-type handguns were not commercially available when the armor piercing ammunition exemption was granted in 1986. To ensure consistency, upon final implementation of the sporting purpose framework outlined above, ATF must withdraw the exemptions for 5.56 mm 'green tip' ammunition, including both the SS109 and M855 cartridges. The National Rifle Assocation (NRA) and the Newtown-based National Shooting Sports Foundation (NSSF) moved quickly to label the ATF proposal a backdoor effort to ban AR-15 assault rifles (ignoring the fact that the specific ammunition in question is just one type of round compatible with the weapon). The NRA, labeling President Obama a "dictator" in an alert sent to its members, warned that the proposal was "a move clearly intended by the Obama Administration to suppress the acquisition, ownership and use of AR-15s and other .223 caliber general purpose rifles...."
This is despite the fact that ATF is only doing what the NRA and other members of the gun lobby consistently argue should be done: enforcing the gun laws already on the books. Opponents also allege that no law-enforcement officer has been shot with one of the cartridges fired from a handgun. Testing the veracity of that assertion is challenging, but the whole point of the ban on "armor-piercing" ammunition is to prevent law enforcement and first responders who rely on body armor from ever having to face assailants wielding handguns loaded with armor-piercing rounds. Yet left unstated is the fact that ATF's proposal, as detailed in a new report from my organization, the Violence Policy Center, is the direct result of the gun industry's own actions. Facing a continuing decline in household gun ownership, the gun industry is constantly engaged in efforts to create new product lines to sell to a shrinking consumer base. In recent years the industry has aggressively marketed AR-15 assault pistols that use common rifle ammunition, such as the 5.56-by-45-millimeter round used in AR-type assault rifles. 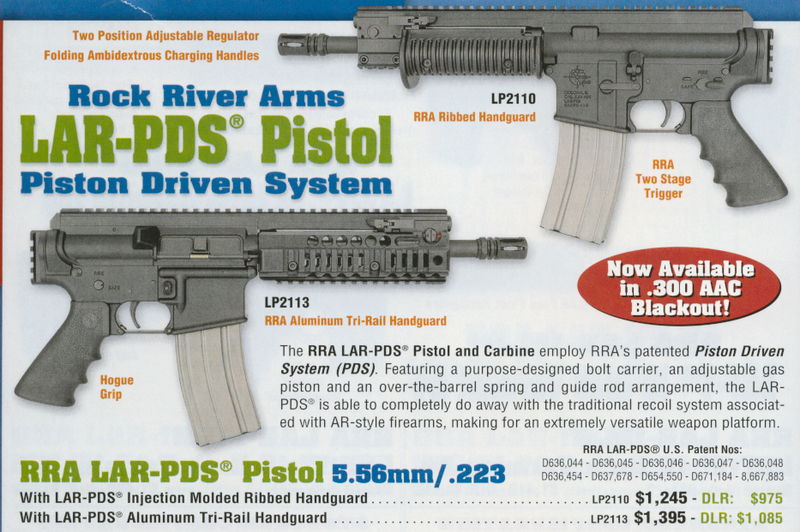 As a 2011 article published in Handguns magazine, titled "AR Pistols: The Hugely Popular Rifle Platform Makes a Pretty Cool Handgun as Well," noted, "There's no doubt in the last few years that AR pistols have become extremely popular." These pistols have emerged as part of a new and growing trend. They combine the firepower of a rifle, able to accept high-capacity ammunition magazines designed for assault rifles, with the increased concealability of a handgun. As a result, these weapons raise the question as to what degree they pose a special threat to law enforcement and the bullet-resistant vests that they rely upon as well as public safety in general. A recent survey by the Police Executive Research Forum (PERF) found that more than 92 percent of officers reported that they are required to wear body armor, either "at all times when on duty" (57 percent) or "at most times when on duty" (35 percent). These percentages reflect the understanding of law-enforcement agencies that body armor is an essential element in protecting the lives of police officers. As a result, according to Federal Bureau of Investigation data, since 1987 only one law-enforcement officer has been killed by handgun ammunition that penetrated body armor. At the same time, PERF points out that "large majorities of officers -- between 89 and 99 percent -- understand that body armor ... generally cannot be relied upon to stop rifle bullets...."
In response to the ATF proposal, NSSF urged "all industry employees, target shooters and gun owners" to "contact your Member of Congress AND the ATF to oppose this unnecessary ban...." On its site NSSF acknowledges the industry's marketing efforts around AR-15 assault pistols, noting "the increasing prevalence of handgun versions of rifle platforms...," yet takes no responsibility for the armor-piercing threat this new generation of pistols represents. Instead, like the NRA, the gun group portrays it as a plot by ATF to "now ban the widely used M855 and SS109 ammunition." Yet if the industry had not begun marketing these pistols, creating a new and lethal threat to law enforcement, the federal law regarding armor-piercing ammunition used in handguns would not have been applicable. The gun industry knew that this new breed of assault pistol could trigger restrictions on specific types of ammunition that are considered armor-piercing when used in a handgun, but it moved ahead anyway, continually driven by the need to create new, militarized market categories in the face of declining household gun ownership. Now the gun industry and the National Rifle Association are attempting to rewrite history. Contrary to their assertions, the ATF proposal is not a backdoor attempt to limit the ammunition available for AR-15 rifles but the necessary response to a new threat created by the industry itself.